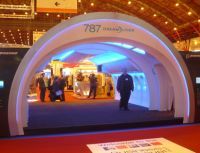 Business travel providers and organisers will this week be hotfooting it to Earls Court 2 for the annual Centaur-organised Business Travel Show and its sister Travel Technology Europe. The location is ideal with the Piccadilly Underground Line from Heathrow (or Kings Cross/St Pancras for Eurostar), or DLR and District Line (via Tower Hill) from London City adjacent. With 200 world-class suppliers, 6,000 of the industry’s elite buyers, a high-class and detailed conference programme and unrivalled networking opportunities, a visit to west London really is a must. Exhibitors from the airline industry include Star Alliance, Air Astana, airberlin, Arik Air International, EgyptAir, Ethiopian Airlines, Finnair, Flybe, Gulf Air, Hong Kong Airlines, Japan Airlines, Malaysia Airlines, Middle East Airlines, Oman Air, South African Airways, TAM Airlines, Ukraine International Airlines, United Airlines, Vietnam Airlines and Virgin Atlantic. About 30 hotel and hotel groups are exhibiting, ranging from the stand-alone St Pierre Park in Guernsey, through Premier Inn/Travelodge, to 5-star outlets typified by the magnificent St Ermin’s Hotel, near Victoria – London, and now part of the Accor Group. The Business Travel Show also hosts a high quality free-to-attend conference programme which, if last year is anything to go by, will feature packed out quality seminars, invaluable case studies, lively panel sessions and exclusive buyer-only master classes. Tightly packed over the two days, and involving both shows, there are just over 50 presentations. Visitors may find it difficult in deciding which one to attend. 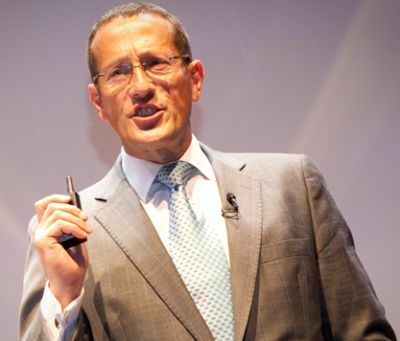 The conference programme’s keynote speaker for 2012 is Richard Quest. His address ‘Richard Quest – Tales of a Road Warrior’ will see him talk about business travel from the traveller’s perspective, including personal anecdotes collected during his two decades of globetrotting. In his busiest year, Quest travelled more than 350,000 miles and was on the road for 300 days. Quest will also forecast economic projections for 2012 and reveal how they will likely impact on the travel industry. Other highlights include a Forecasting Forum panel debate on the Tuesday (7 February), which will give buyers a valuable insight into how travel costs are likely to change over the next 12 months, revealing whether they should expect to pay more or less for air, hotel and other travel items by the end of the year. This forum will be moderated by the ITM’s recently-appointed CEO Simone Buckley and speakers include Prashanth Kuchibhotla, American Express Business Travel, Sarah Makings, KPMG and Jonny Shingles from Egencia. Also on Tuesday, a panel debate on the distribution revolution – good or bad news for travel buyers? With some traditional airlines consulting TMCs about selling tickets through channels that bypass the GDSs, while some low-cost carriers are embracing GDSs for the first time, the panel will debate what all the changes mean and who will be the winners and losers. On Wednesday 8 February, a sustainability buyer masterclass will allow travel managers to swap best practices on how to be green, whether they are operating an established green travel programme already or planning to introduce an environmental dimension for the first time. Running alongside the Business Travel Show is its sister event Travel Technology Europe. Around 60 exhibiting companies specialising in a wide range of travel technologies, from booking and reservation systems, network infrastructure and hardware, to mobile, social and web design, will feature on the floor plan for 2012. This year’s event will include a host of new visitor features including Tech Launch Pad where visitors can meet the hottest new talents in travel technology and source the market’s latest technology solutions; Innovation Hot Spots where suppliers will showcase particularly cutting edge innovations and the Business Travel Technology Zone – a brand new area located between Travel Technology Europe and the Business Travel Show featuring leading corporate travel tech suppliers and the debut of the Business Travel Technology Theatre. The unrivalled education programme, which is a cornerstone of the Business Travel Show, is also prominent in Travel Technology Europe. 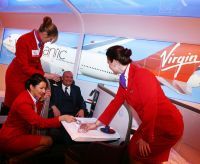 The programme features global brands at the Travolution Theatre, TTE Travelport Live Theatre and new for 2012, the Business Travel Technology Theatre. Speakers include Teletext Holidays and seeyourtravelagent.com whose presentation I Can See Clearly Now reveals how the internet is becoming a moving image medium and what this mean for travel businesses. Other sessions focus on cloud computing, how to expand overseas, web analytics and data feeds and real-time pricing. 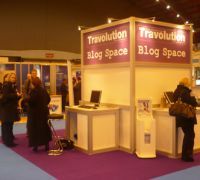 To register for a free visitor pass and gain access to both events visit www.businesstravelshow.com.